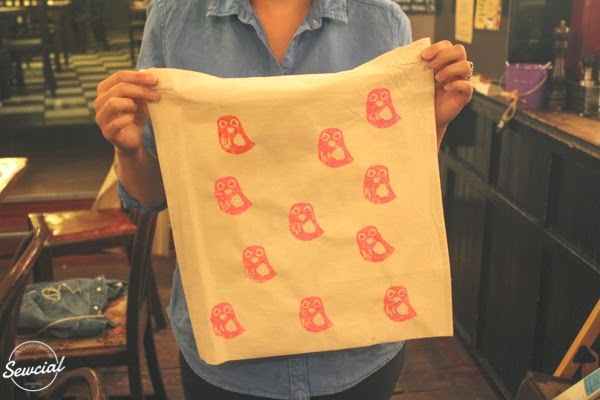 So it was a complete no-brainer that at some point, we needed to dedicate a Sewcial to our second favourite hobby. Number 1 being 'making stuff' of course. 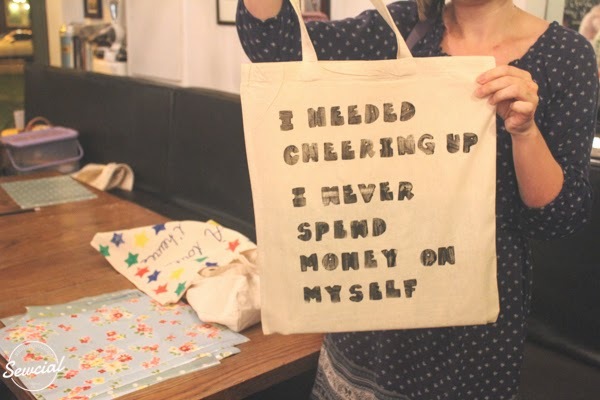 We decided that creating our own shopping bags would be a great way to combine two of our fave things! 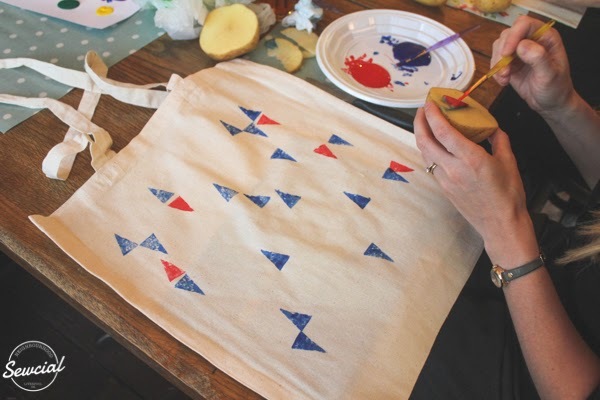 Having found an excellent supplier, and with the help of our friends at It's Nice Out (we love you Amazon Prime), we stocked up on canvas tote bags and a selection of fabric paints then set about looking for inspiration. 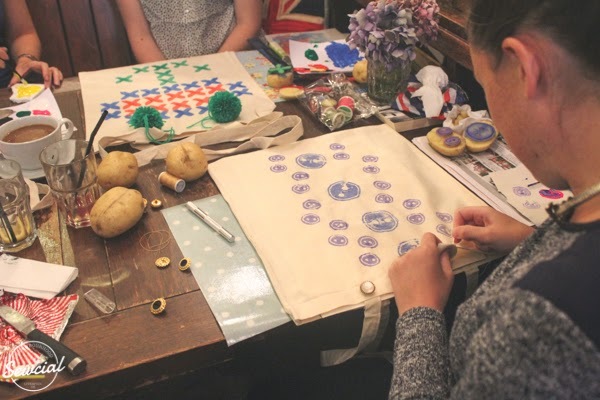 On Monday night, with potatoes at the ready along with pom-pom makers, buttons, felt and a little bit of creativity, our group of girls gathered to make their own bespoke shopping bags. 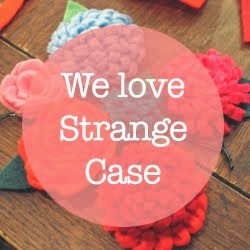 We had loads of fun, and we think they turned out okay... what do you think? 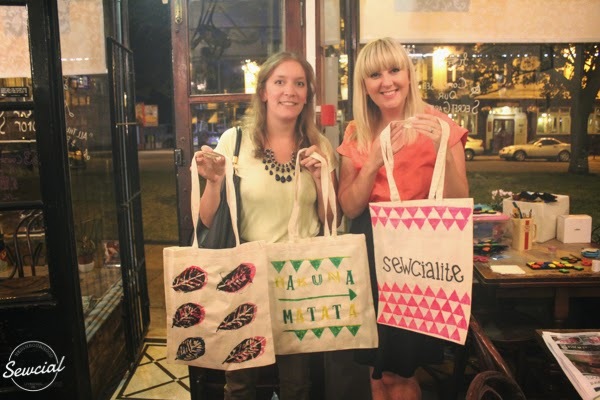 Thanks to all of our girls for another great Sewcial! 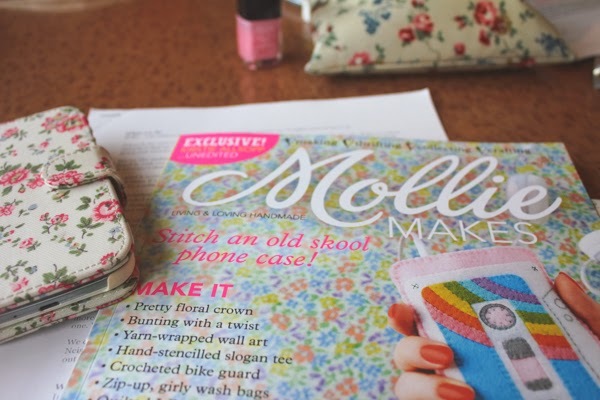 Pick up an issue of Mollie Makes (43) next month and there's a chance you might just see a couple of familiar faces. With June coming to an end, we thought we'd take a moment to reflect on what an amazing day we had earlier this month at the UK's biggest craft magazine's first ever Handmade Awards. We got the email a week before the big day - just before Karen and Sophie were heading off to various weddings for the weekend and leaving no time to obsessively prepare as we usually do - that Sewcial had been shortlisted for the Social Enterprise Award. 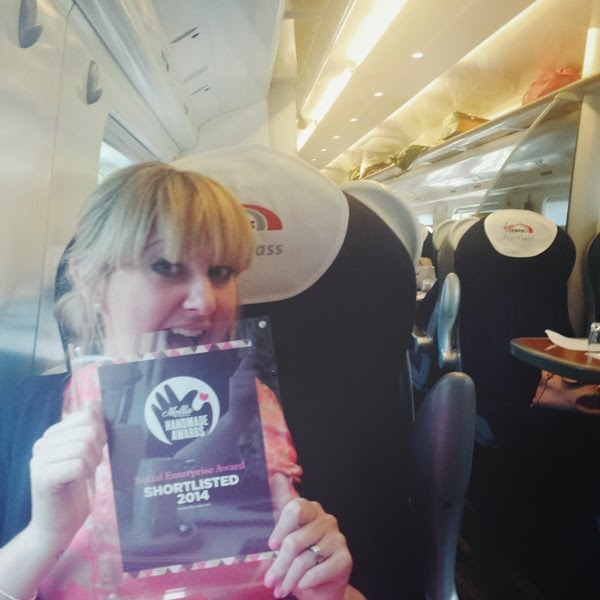 We were asked to head down to the Proud Archivist in London to present to some of the top people in the crafting world as one of the final five in our category. Unbelievable! The day arrived, and so did our mega early train from Lime Street. We soon took over the table with an explosion of paper, felt, glue, coffee and cosmetics... as a stream of commuters weighed up the pros & cons of disturbing us to claim a seat. Nobody dared. On arrival at the venue, we were met by a gathering of crafters - the finalists in the five categories. The plan was that we'd all wait our turn and have ten minutes with the judges before the awards presentation at the end of the day. It was a glorious day so we sat outside and spent a lovely time with some of the most talented artists, makers and designers in the country. It didn't take long before Sophie whipped out a small box of crafty bits and began making felt flowers to pass the time. Before we knew it, we had a whole group of girls joining in... an impromptu Sewcial in the middle of London. Such a simple make, but so pretty - we ended up with a table full of flowers that ended up on name badges, in our hair, anything we could accessorise... We just wish we'd taken more scissors! for listening to us, for your advice, ideas and suggestions for our future... we embraced every word and will be taking all of your feedback on board! We had such a fun day meeting the most amazingly talented people. 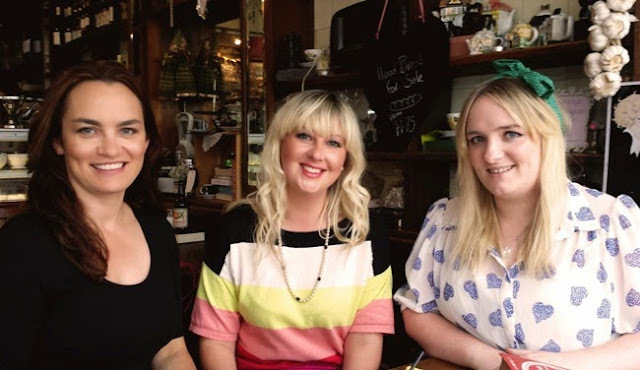 It was a huge honour to be sitting alongside them and we made some fabulous new friends, including the gorgeous girls from the Mollie Makes team who were great company to hang out with. 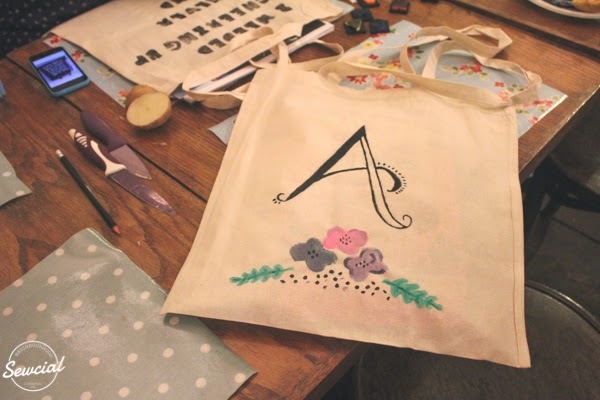 We've kept in touch with a few of the girls since too, chatting online and even doing a #craftswap - you should see the gorgeous parcels coming through the letterbox. 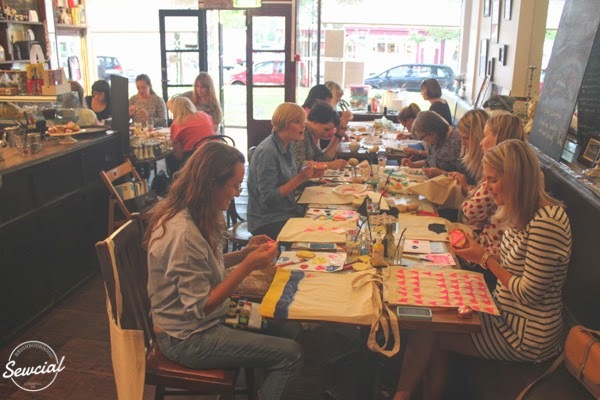 Big love to Debbie from Duck & Duffel, Carmen from Crafty Queens, Sarah Jane from Hejsan Goods, Julia Staite, Hannah from Crafternoon Cabaret Club and Katy Fletcher... and all of those girls we haven't mentioned who are equally lovely! One thing is for sure, it's a day we won't forget for a long time. We may not have come away with the prize, but we made some boss mates and took away a whole world of inspiration. 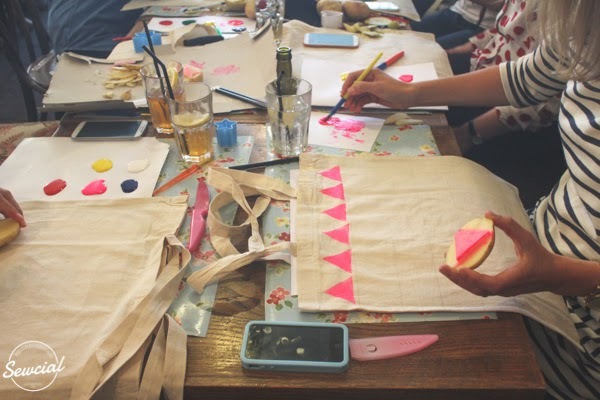 To celebrate our time at the #HandmadeAwards, we have decided that we'll be opening our doors and welcoming five new members to Neighbourhood Sewcial. 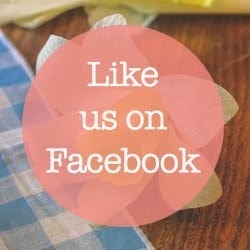 If you're a reader of Mollie Makes or passionate about crafting, we want to hear from you. 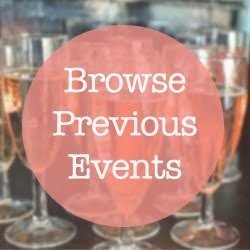 Just drop us an email and we'll tell you how to register your interest. 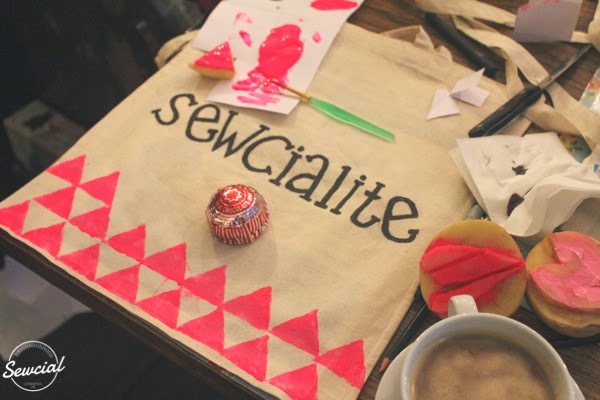 So, to Mollie Makes, our fellow shortlisters, the deserving winners, everyone who has supported us along the way, and most importantly - our group of gorgeous Sewcialites who bring such fun, talent and enthusiasm to our Monday nights... thank you. We love you all. Loads. p.s. 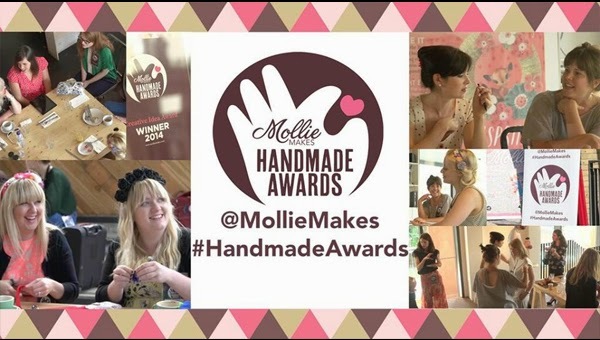 You'll be able to read all about the Handmade Awards in next months Mollie Makes! If you can't wait that long, take a look at this fantastic video with a few familiar faces. As we reported last week on Facebook and Twitter, our Sewcialites are heading down to London tomorrow for a VERY special day out. 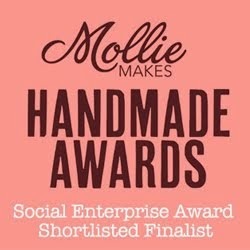 We've been lucky enough to be shortlisted for a Mollie Makes Handmade Award! 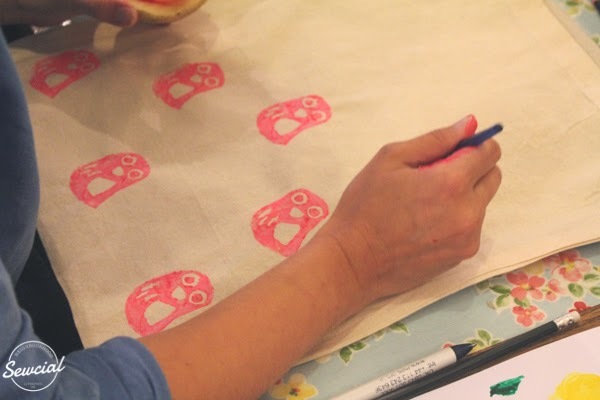 As one of the finalists in the very tough Social Enterprise category, we'll be sharing everything that's great about Neighbourhood Sewcial with the judging panel - made up of some of the top names in the industry. It's blown our minds already that the the biggest (and best) craft magazine out there has given Sewcial the thumbs up by putting us through this far... so whatever happens tomorrow, whether we come away with top prize or not, it's certainly going to be an amazing day to remember. We're very excited to meet the Mollie Makes team, the judges and all the other finalists... and we'll be sure to keep you posted on our adventure. Thank you to all of our girls and everyone who's supported us so far. 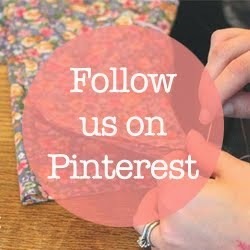 We've been whispering about it for weeks, but we're now ready to lift the lid on what's behind #SecretSewcial. 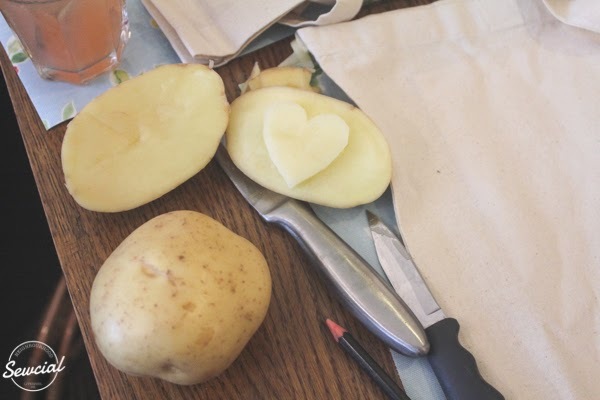 We are officially on the lookout for local quirky girls to share their love of all things homemade in a brand new group that will turn tradition on its head. 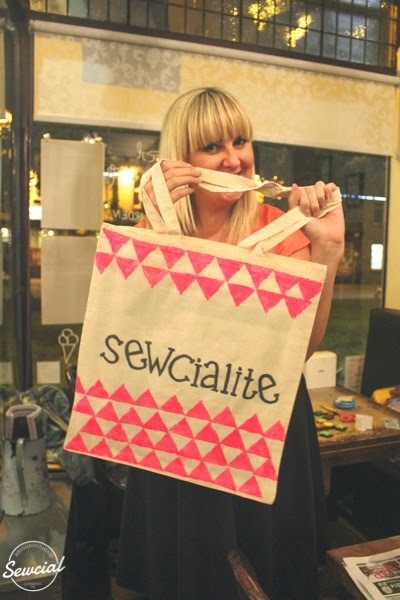 We haven't been the only ones to notice that options in Liverpool - to get together, combining a love of crafts with a tipple or two - are limited, so with this in mind our first 'make' is the fabulous Neighbourhood Sewcial. 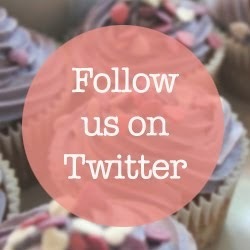 So, if you think this might be up your street, we would love to hear from you. 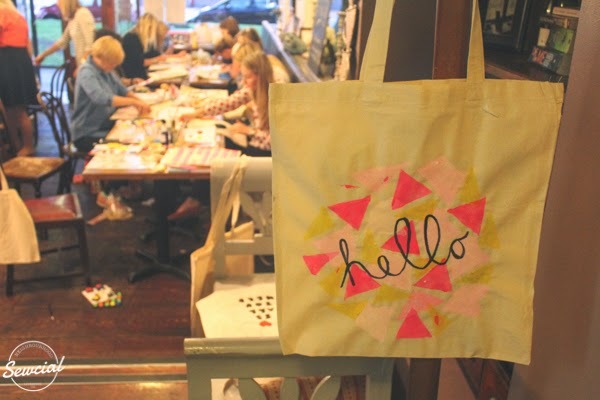 Once a month, on Monday evenings, we will meet up at Neighbourhood Cafe, Woolton Road, Liverpool to share a cocktail and a chat, but most importantly, indulge in a range of our favourite crafts. 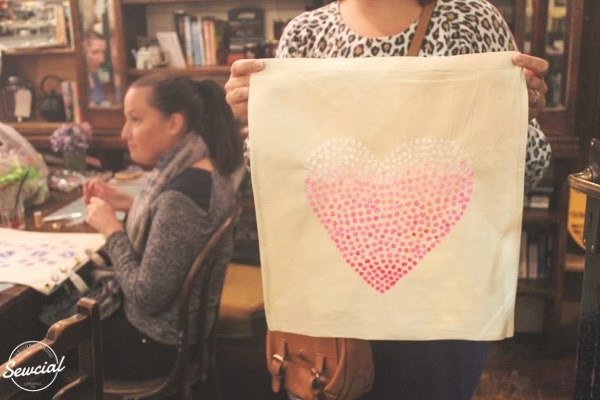 You may be a cross-stitch queen or a knitting novice - we love you all. 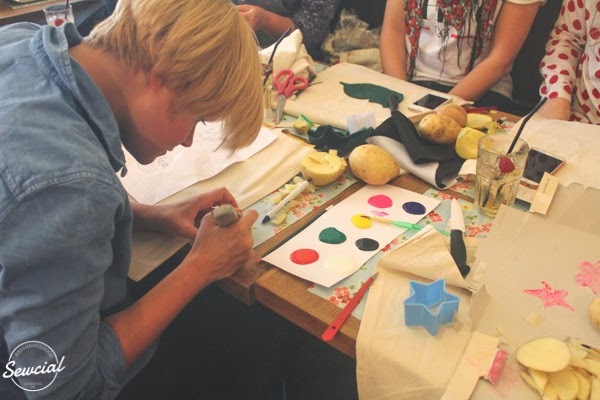 Each evening will feature a selection of activities to get stuck into as each member brings their own skills and passions to the group. 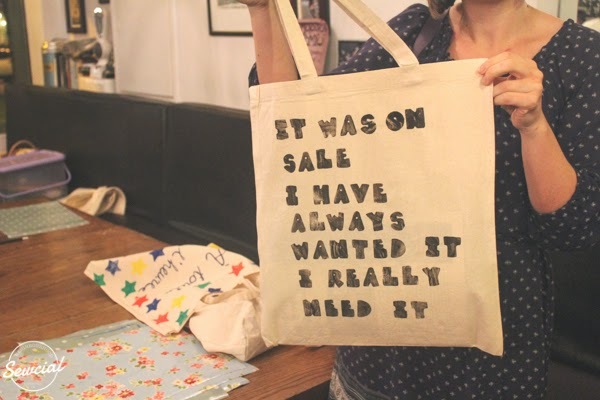 As co-founder of the renowned Liverpool creative company Strange Case Collective, Sophie is no stranger to the world of crafts. Her work has involved creating decorations for HRH Kate to styling national TV campaigns and she’s all set to share her skills. 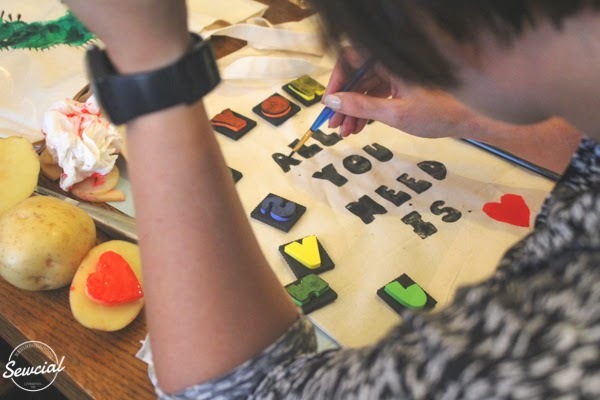 Karen Charity worker and newlywed Karen discovered a love of craft when she was planning her wedding and sharing her adventures as a Rock My Wedding Real Bride. With a lot of enthusiasm and (admittedly) not much technique, she's all about learning new things. 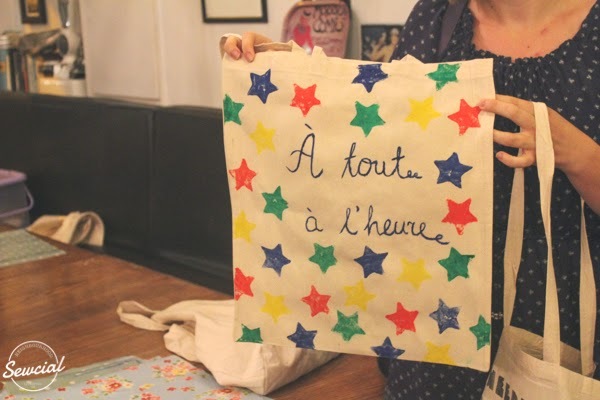 The Sewcial has it’s perfect suburban home in Lynne’s very own quirky and popular Neighbourhood Cafe, described as a cross between a Parisian bistro and an old friend's house. 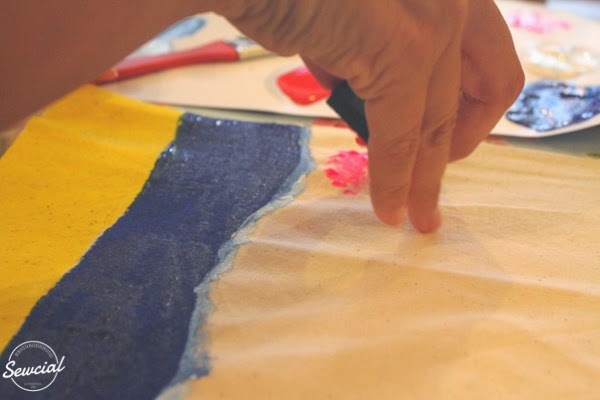 Lynne has a passion for finding and up-cycling unique decorative touches. 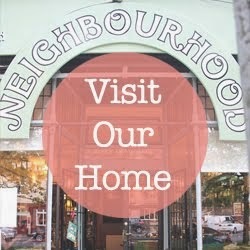 Neighbourhood Sewcial. Powered by Blogger.